Enzymes generally do play a huge role in our body, helping keep us alive and thriving. One of the most important enzymes found in our body and in certain foods and dietary supplements is proteolytic enzymes. The proteolytic enzymes benefits are wide-ranging as these unsung heroes facilitate numerous biochemical reactions that regulate all life functions. Also known as protease, the most common proteolytic enzymes are papain, bromelain, and pepsin. Bromelain and papain are naturally found in certain foods, whilst pepsin occurs in the gut. 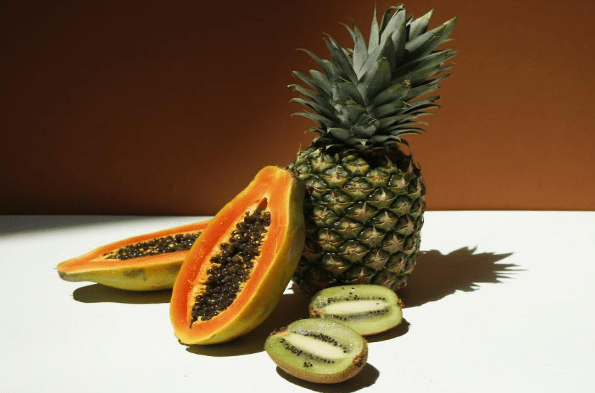 These enzymes bring about several health benefits, which include the following 5 powerful health benefits of proteolytic enzymes. Proteolytic enzyme supplements are known to facilitate effective wound healing. According to animal studies, protease helps speed up new tissue growth hence promoting wound healing. Also, a study published in the International of Oral & Maxillofacial Surgery revealed how effective proteolytic enzymes are when it comes to easing post-surgery symptoms. One of the most effective benefits of protease is the ability to fight against unwanted inflammation. They reduce inflammation by specifically destroying pathogenic complexes that hinder proper immune function. To establish anti-inflammatory properties of these enzymes, rats were injected with protease and instantly experienced relief from inflammation. Furthermore, one animal study established that proteolytic enzymes reduce pain symptoms, joint stiffness and swelling in patients who suffer from osteoarthritis. Some studies have found the anti-cancer properties in protease. A test-tube study showed that the proteolytic enzyme bromelain hinders the development of colon and stomach cancer cells. In fact, the study revealed that the enzyme does kill off some cells completely. When the body absorbs these enzymes, they prevent digestion of proteins and body tissues in the blood, producing antiproteases. These antiproteases thwart the invasiveness of tumor cells while preventing new blood vessels from being formed (angiogenesis). Proteolytic enzymes also inhibit metastasis and enhance immune response. One of the causes of deaths in the world is heart disease. You should always strive to take care of your heart as your number one self-care list. Taking care of your heart involves eating right, working out regularly, avoiding chronic inflammation, and keeping stress at bay. New evidence suggests the effectiveness of proteolytic enzymes in boosting cardiovascular health. A 2016 study discovered that consuming a specific proteolytic enzyme called nattokinase can help keep your blood pressure in check. Additional studies suggest that the nattokinase supports the circulatory system by dissolving blood clots and thinning the blood. Whenever you need an energy boost, try not to consume unhealthy energy drinks like caffeine shots or sugar sodas. Proteolytic enzymes provide a natural way to boost energy. These enzymes clean out excess proteins and pathogens from the bloodstream, which boosts the red blood cells flowing in the body. As you probably know, red blood cells transport oxygen, which means they efficiently deliver energizing oxygen throughout the body. Protease provides a natural and long-lasting energy source, unlike energy drinks which only cover up fatigue by providing a short burst of energy.